The Federal Government of the United States of America is immune to most lawsuits because of what is called sovereign immunity, but two important pieces of legislation allow people who have been harmed by acts of negligence to pursue damages if the negligent act occurs while a federal employee is performing a job that is similar to jobs performed in the private sector. If you have been injured due to negligent actions on part of military staff members, it is important that your personal injury lawyer has past experience with this form of litigation. Rosenfeld Injury Lawyers LLC is one of the leading injury law firms in Illinois and has attorneys who specialize in these kinds of cases. 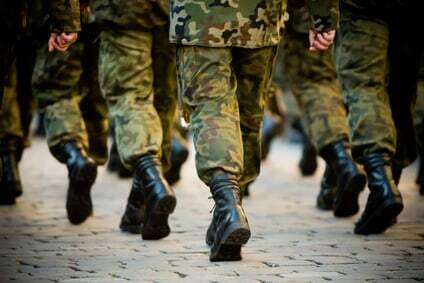 Who is able to file a Claim for Military Negligence or Medical Malpractice? So long as an individual is an active serving member of the United States government, he or she is unable to sue the Federal government for any form of negligence or malpractice. However, family members of military personnel and veterans that are injured due to negligent acts are able to bring lawsuits in accordance to the Federal Tort Claims Act and the Military Claims Act. Examples of qualifying cases include but are not limited to the following. The child of a member of the armed services is harmed during delivery or staff fails to diagnose or properly treat conditions soon after birth that result in a permanent disability. Any family member of a serving member is misdiagnosed or receives inadequate treatment, resulting in complications and injuries. Veterans are denied proper testing measures and preventative care that results in the development of chronic or life threatening conditions, or conditions that permanently alter the veteran’s quality of living. Any veteran or family member of an active member of the military is injured while undergoing a medical procedure and it is deemed that the medical staff deviated from the standard of care, resulting in the injuries. This case was so tragic because it was so avoidable. The victim was a veteran in his late fifties. He sought treatment in a Chicago-area hospital after experiencing negative effects from heroin and cocaine usage. Doctors soon found that he also had diabetes, depression, schizophrenia, and other major health problems. He implored to the medical staff that he was suicidal. Nevertheless, they gave him one month supply of meds and sent him on his way. He came back later that day looking for help but he was turned down by the hospital. A few hours later the cops found him dead right on the same premises. He had overdosed, and apparently committed suicide, by ingesting all of the prescription medications they had given him earlier that day. Lawyers for the deceased man sued the hospital for wrongful death and medical malpractice. The defendant agreed that it was liable under the Federal Tort Claims Act. Therefore, the only issue left to decide was how much the man's estate was owed. In the end, they received $900,000 for all of the lost society, pain, and suffering that this tragedy caused. The patient who filed this claim against the government was thirty. She was the wife of captain in the Air Force. She saw her doctor a number of times over the course of several months. She eventually sued him because she claimed that he missed an infection which would cause her long-term pain, disable her, and prevent her from working. The doctor answered that the woman never complained of cellulitis, endometriosis, or similar issues when she saw him. Also, he replied that this issue occurred after their visits. Thus, there was nothing he could do about it once it set in and begin to take hold. The woman disagreed and took her claims to court. A jury reviewed the matter and ruled in her favor to the tune of over $8 million. This is one of the highest awards for military medical malpractice lawsuits. It compensated her for past and future medical bills, lost wages, disfigurement, disability, trauma, and pain. The patient in this lawsuit was a little girl, just eleven years old. Her father was a retired Marine. She suffered from scoliosis and doctors at a Naval Medical Center in Maryland recommended surgery. However, that operation did not go well. Doctors botched the spinal surgery. She was paralyzed at the T-4 spot. She had bowel incontinence, bladder issues, and other problems. Her father sued the government on her behalf. The case was for medical malpractice and sought damages for the enormous medical bills, lost income, pain, and suffering that resulted. The issue on fault was clear and obvious: it was the government's fault. However, the two sides had a trial with respect to damages. It was a bench trial meaning a judge decided instead of a jury. He ruled that the family should receive a little more than $3.9 million for medical bills, disfigurement, disability, pain, suffering, lost quality of life, and related harms. Taking on the Federal government can seem daunting and it is important to retain the right legal representation before presenting your case. If you or a loved one has been injured due to an act of negligence or medical malpractice and you would like to know more about your rights, contact Rosenfeld Injury Lawyers LLC today to arrange a free consultation with a medical negligence attorney who has experience with claims involving the negligent acts of military doctors and hospitals. 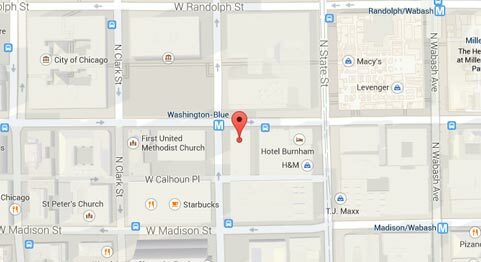 Our offices are located throughout Illinois and we can arrange to meet you if you are unable to make it to us. During your consultation, we will evaluate the details of your case, answer any questions you have and let you know more about the process of litigation so that you know exactly what to expect. If you or a loved one has been injured, we know that you have enough on your plate already and will never require payment upfront. Unless we are able to collect compensation on your behalf, our services and advice will be free of charge.